I love a good fairy tale and this one seemed like a fascinating one! But powerful men have powerful enemies–and now, so does Alyrra. 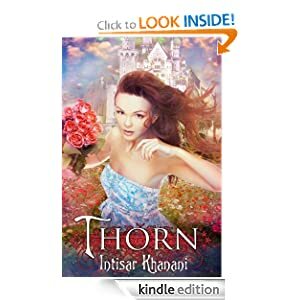 Betrayed during a magical attack, her identity is switched with another woman’s, giving Alyrra the first choice she’s ever had: to start a new life for herself or fight for a prince she’s never met. But Alyrra soon finds that Prince Kestrin is not at all what she expected. While walking away will cost Kestrin his life, returning to the court may cost Alyrra her own. As Alyrra is coming to realize, sometime the hardest choice means learning to trust herself.